The new stove reconstructs the functions of baroque-era stoves: display and heating, in Each piece is unique, making them excellent, personal gifts. 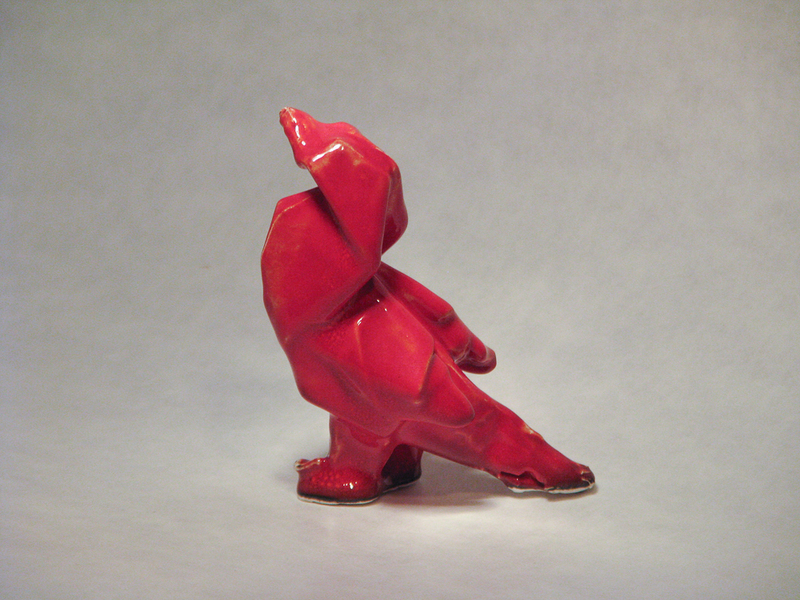 The animal figures are contemporary knick-knacks. 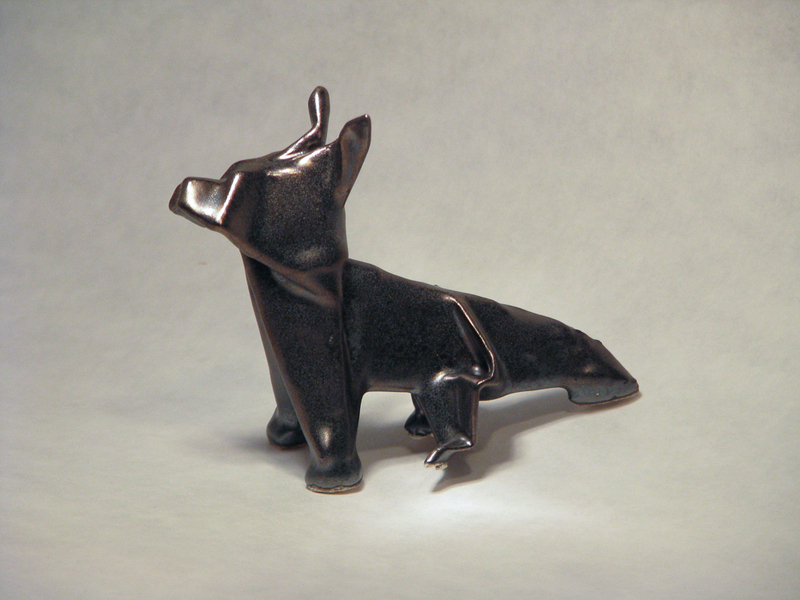 These miniature porcelain animal figurines are personal ornaments for the home. Jiki-origami combines the dainty fragility of folded paper and the lustrous permanence of porcelain. Origami forms – special paper folded into schematic shapes – become unique pieces when fused with porcelain and transformed by fire. These paper-porcelain figures are individually shaped by hand, making no two the same. The JIKI-ORIGAMI sets, BIRD and PUP, will be expanded in the future with further species and breeds. The first pieces were completed in 2011. 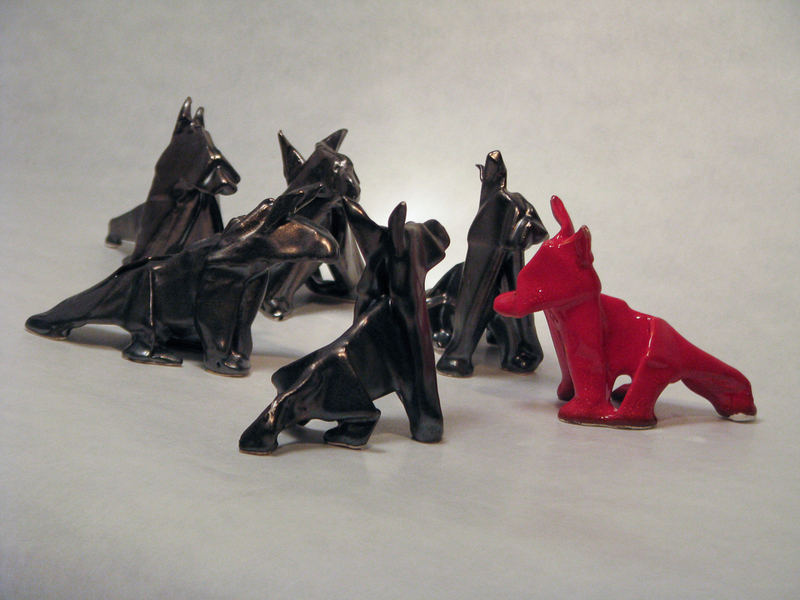 The ornamental figures are available in the webshop. Chinoiserie, a style inspired by art and design from China and later Japan, was popular from the early 17th the history of European porcelain – it was the influx of Chinese porcelain to Europe that influenced the German ceramic alchemist Johann Friedrich Böttger to invent European porcelain at the turn of the 18th the non-existent properties of porcelain. While the punch line of contemporary knick-knacks uses kitsch to address superficial happiness, turning it on its head, porcelain origami plays with our culture of attachment to physical things and our experience of material objects. A particularity of these porcelain figures is that due to the technique used to create them, only those structural forms remain after firing which have multiple folds. The fusing of materials happens in just seconds during the process, relying on well calibrated kiln temperature and the correct material viscosity. This makes it impossible to create just any shape. century to the beginning of the 20th Chinoiserie is at the foundation of century. 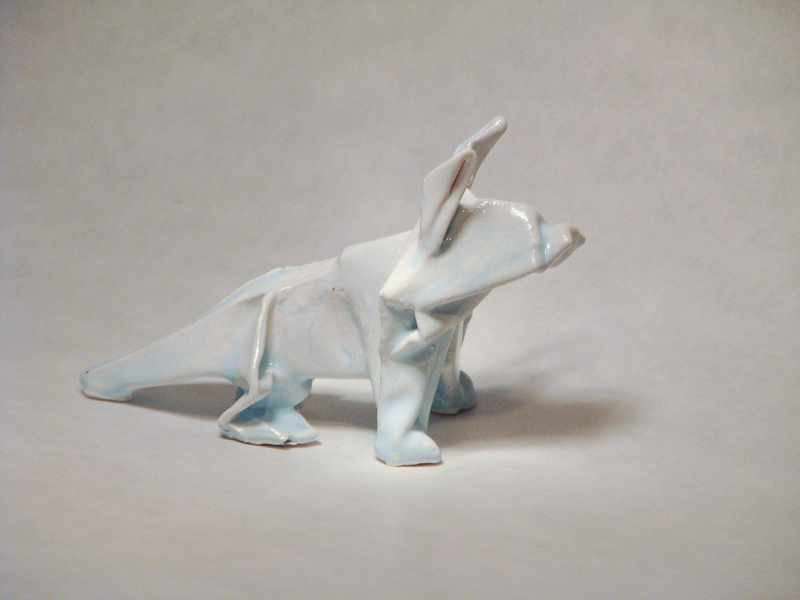 JIKI-ORIGAMI is a pseudo object which displays the non-existent properties of porcelain. While the punch line of contemporary knick-knacks uses kitsch to address superficial happiness, turning it on its head, porcelain origami plays with our culture of attachment to physical things and our experience of material objects. A particularity of these porcelain figures is that due to the technique used to create them, only those structural forms remain after firing which have multiple folds. The fusing of materials happens in just seconds during the process, relying on well calibrated kiln temperature and the correct material viscosity. This makes it impossible to create just any shape. The unique creation process for this series: first the forms are folded in paper using traditional methods, which is then soaked with liquid porcelain slip and glazed. The paper burns up during the firing process, leaving only the thin porcelain husk. The glaze forms a glass coating on the porcelain’s surface, further strengthening its material.